My wife found this recipe several years ago on Epicurious. 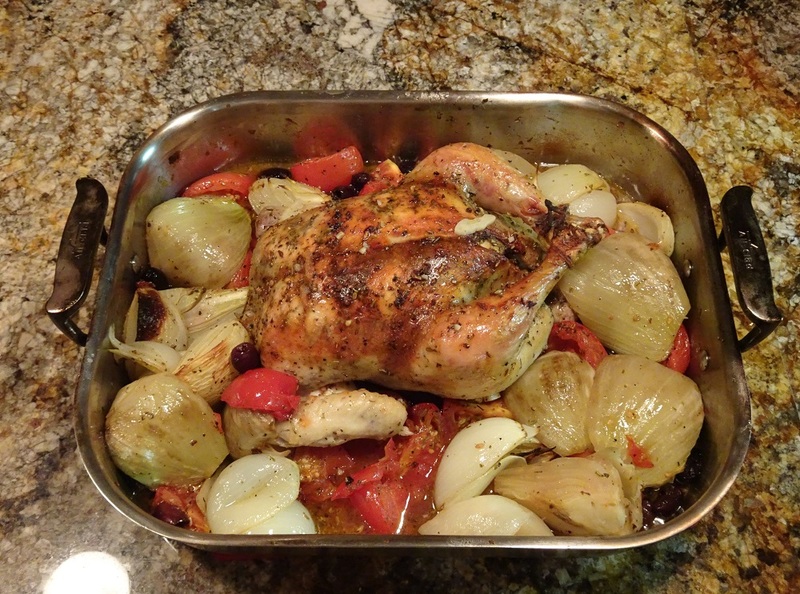 It is one of our favorite chicken recipes when I am not putting one on a rotisserie. 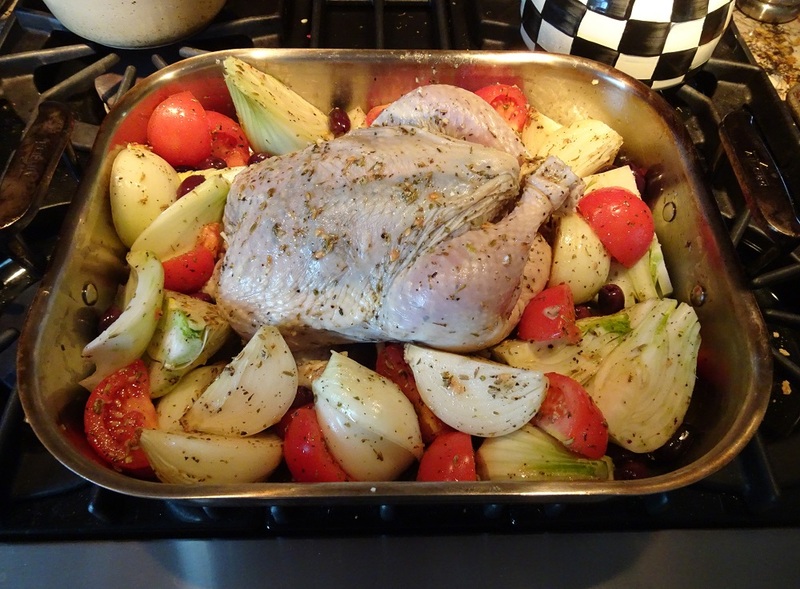 This one we cooked in the oven but it can be cooked on your Weber in a large baking pan. - we use organic chicken in this recipe as it cuts way down on the amount of chicken fat/grease produced in the broth. mixture of ingredients beneath the skin. You can loosen the skin by working your hand between the skin and the meat. That looks tasty ! ! ! Just right for the SnS. OMG! That looks positively outstanding! Great combo on the veggies. This recipe does take quite a bit of prep but I highly recommend you at least try the rub from this recipe. I use this rub under the skin of bone in chicken breasts or whole chickens done on the rotisserie. The flavor is amazing and permeates the chicken meat throughout. I cut the amount of salt recommended in the recipe to 1/2 teaspoon. Mix the following ingredients together to make a paste. Rub beneath and over the chicken skin. I’m excited for this! I got off work later than expected and hit aldi on the way home. They were out of whole chickens. I settled for a package of bone in skin on breasts. It won’t be the same but hopefully I’ll get a good taste. I used black and kalmata olives and way more sliced and minced garlic than what the recipe called for. Just put it in the oven. Thanks for the inspiration Jim! @HoosierKettle - Looks amazing. More importantly, did you like it? Yes. Great flavor and I cooked it inside intentionally to benefit from the aroma that filled the house. Only thing I would do different is serve it over rice or something similar. We were trying to be low carb but the pan drippings would have been amazing absorbed into to something or sopped up with some French bread. For some reason I’m inclined to drop a few sweet Italian sausages in there. I almost did that last night but I didn’t want to alter the flavor the first go.